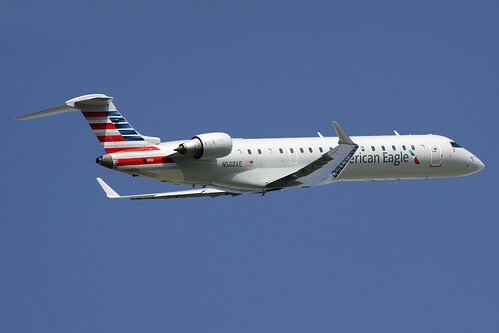 Mesa Airlines is scheduled to fly a new Embraer E175 and a new CRJ900 aircraft to Phoenix Mesa Gateway Airport for an open house at ATP’s Flight Training Center. The Open House and fly-in will take place on May 21 from 10:00am to 2:00pm and a big turnout is expected to tour ATP’s flight training facilities as well as Mesa’s new aircraft. Mesa Airlines has recently joined ATP as the launch partner to offer the Tuition Reimbursement Program to ATP Students and Instructors. For the first time, an airline is directly helping to subsidize flight training through the Tuition Reimbursement Program. An ATP pilot joining Mesa’s program will begin earning tuition payments with as little flight time as 500 hours while instructing for ATP. The payments will increase to $500 per month once the pilot reaches 1500 hours and begins flying for Mesa. Many more details about the Tuition Reimbursement Program can be found at ATP’s website. We invite everyone interested in flight training for a career flying for the airlines to come to the our Phoenix-Mesa Open House to meet and speak with Mesa Airlines as well as pilots training at and instructing for ATP. ATP offers a clear path to a career flying for the airlines, as well as many other rewarding professional flying careers. You can begin flight training today, and be flying for an airline, corporate flight department or one of many other choices in under two years. The important choice begins with choosing the most proven provider of flight training for career oriented pilots. Wherever you are heading, get there first by flight training with ATP.